Completely personalized with your unique logo, design, or text. 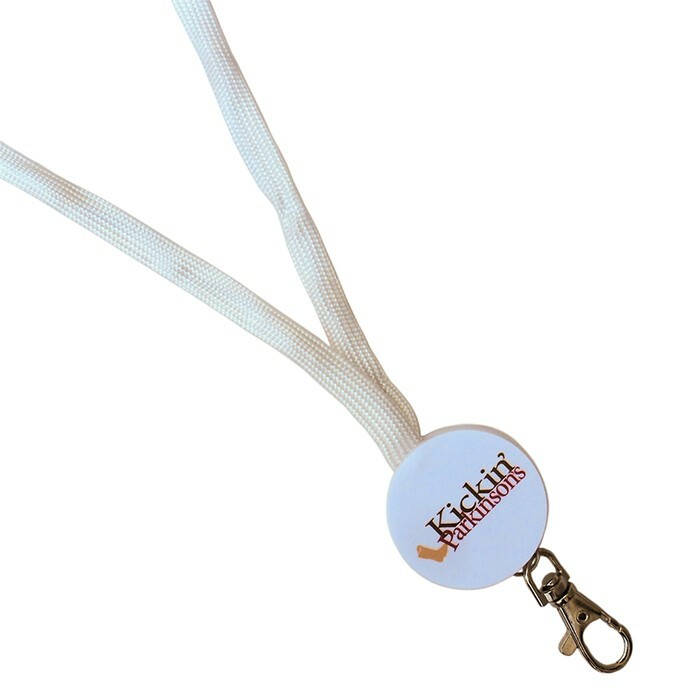 These flashing lanyards are great for night festivals, Halloween party or just a fun company event. The blue LED's are embedded in the strap and have 3 modes: Steady On, Flashing and Off. Pendant has a metal trigger hook attachment. Lanyard has a breakaway connector in back of neck (safety feature). Length: about 17 inches long. Are you submitting a design?